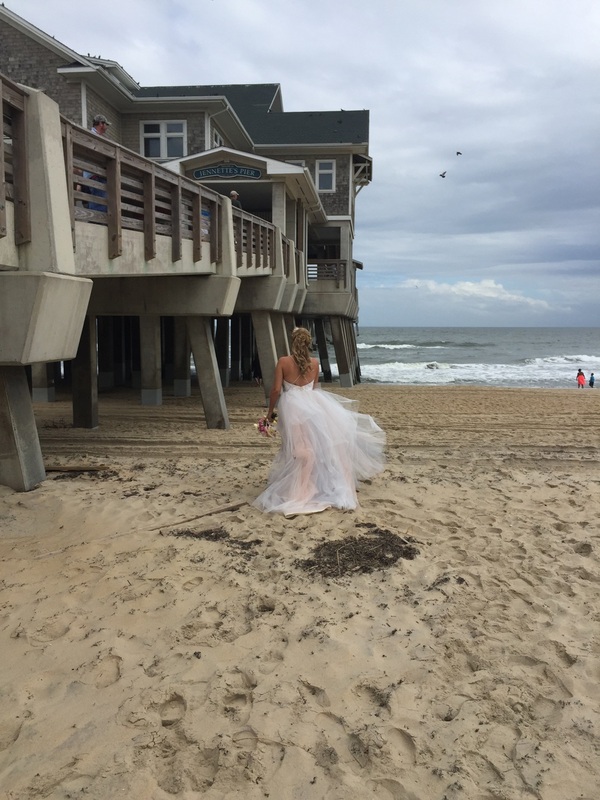 I'm still beaming from ear to ear since our OBX shoot on Monday. Everything came together so beautifully and I cannot tell you how proud I am of our vendor team. As it is with all of my shoots, here's a little recap...but just a small one, cause I don't want to spoil the surprises! Sunday evening, as I drove into Kitty Hawk, I decided I would go back down for a visit, and soon. (Cal, we are going to do a little staycationing in OBX.) What a beautiful, calming place. No wonder Amanda and her husband, Mike, moved their little family down there. So peaceful! Monday was a magical day right from the start. My hotel had a waffle iron and there was coffee aplenty before I even got in my car. 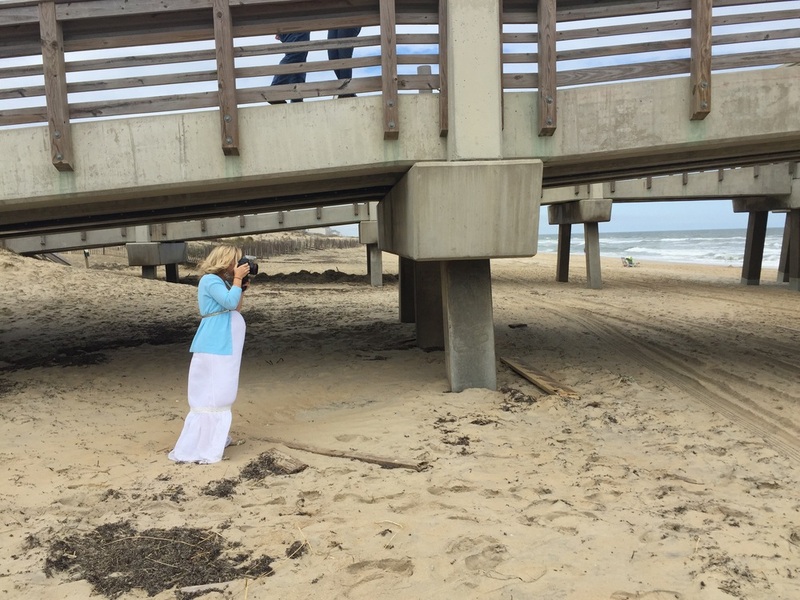 Arriving to Jennette's Pier and seeing our setting, I knew Amanda had found the perfect spot for our day together. Thanks to Christina, Erika, and Sharra, set up was a breeze. Unloading the car is always my least favorite part, so it was nice to have help. 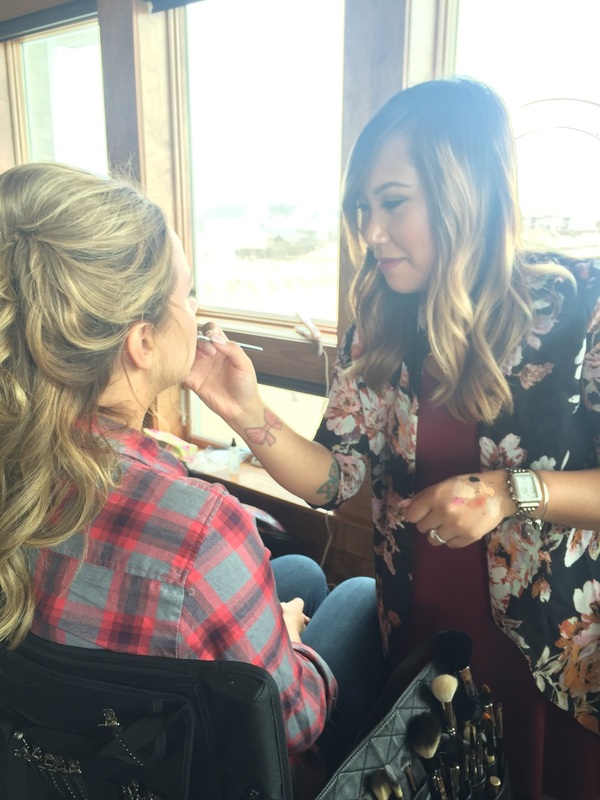 Watching Sharra grow as a wedding professional has been one of the best experiences. I am so proud of you, girl!! Our stunning model, Erika of Erika Mills Photography, wore a MARVELOUS Haley Paige gown from Pure English. It had just come in and Erika was only the second person to try it on. I am obsessed. Can I go try it on? There were 15 photographers shooting our setup, which was a super strange experience for me. That many cameras focusing in on something I helped create...it was scary and humbling. I know there will be so many great photos floating around out there, and that is so exciting! Cake stand is Pioneer Woman. This chair has a funny story that I'll tell you one day. Delicious paper suite by PaperDolls Design. Bouquet by One Sweet Day in May. Paper flowers by Sweet Pear Paper.